More than 15,000 chickens died in a farm structure fire in Vallée-Jonction in Quebec's Beauce region early Monday morning. Firefighters say the fire started at about 7 a.m. and soon engulfed the entire three-storey building on Principale Street. 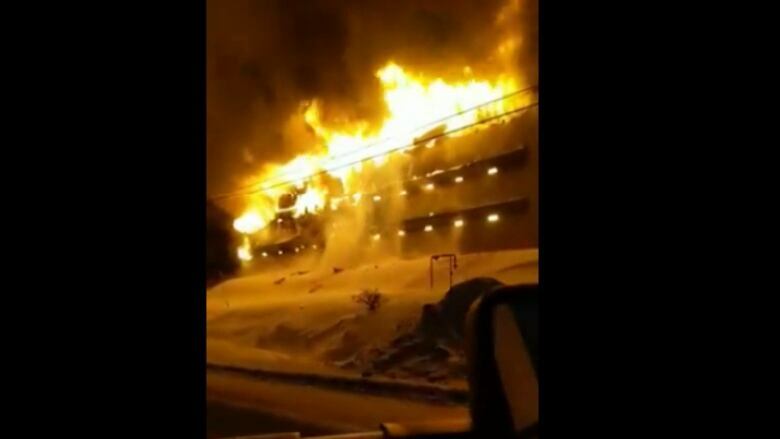 Fire Chief Daniel Michaud told Radio-Canada the building was collapsing as they arrived. He said firefighters had to disconnect a hydro pole as well as propane heating connected to three adjacent buildings as they were battling the flames. Fire services from nearby municipalities were called to help because of the fire's extent and the cold complicating the work to get it under control. It's unclear how the fire started.